Released on Memorial Day, the History Channel aired the highly anticipated three part mini-series documenting the well-known, century old feud between rival families the ‘Hatfields’ & the ‘McCoy’s’. The mini-series not only stars Kevin Costner but the soundtrack will also feature the Kevin Costner & Modern West Single ‘I Know These Hills’. 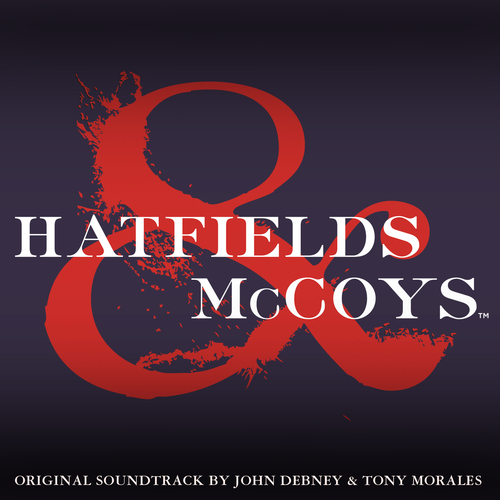 The music is composed by John Debney and Tony Morales. Both Debney and Morales hoped that the listener could sit back and enjoy what would be an emotion conjuring musical journey which would then give an insight into the feelings of the real-life characters. Unfortunately at this time we can't offer all the Various Artists - Hatfields & McCoys tracks as individual flacs, as some of these tracks exceed the shops maximum (20mins) download length.